Asperger’s is for life. The anxiety, depression and other problems needn’t be. Hypnotherapy could help you to achieve your goals. Hello there. If you’re reading this page then you’re probably either on the autistic spectrum and are looking for help or you know somebody else who needs such help. In either case, I’m sorry that you find yourself in this situation. 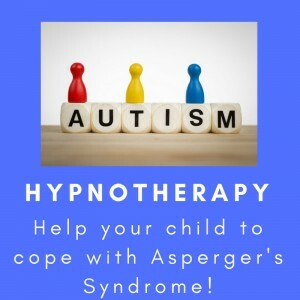 Nonetheless, I use hypnotherapy in Reading, Oxford, London, Thame and Wallingford and have helped a great many people to overcome those difficulties which come along with asperger’s syndrome. Have a good read of this page. Take a look around my site. I hope that you find the information you need in order to decide whether or not I could be of service to you. My eldest daughter was diagnosed as having Asperger’s syndrome at the age of four. I had to learn about the condition very quickly. I soon found that I could use hypnotherapeutic relaxation techniques to calm her down during anxious times, preventing meltdowns. When I set up my practice the asperger’s clients soon started coming. A quarter of my extensive caseload is now formed by people on the autistic spectrum. I work with clients from across the world using televisual programs such as Vsee. Clients within Britain come from as far as Cumbria and Devon for the same purpose. A man from Southern Europe even flew me down in order to work with him. I now train hypnotherapists and counsellors on the matter of how best to work with this client group. What’s more, therapists from across the globe frequently get in touch for advice. When I began my training I had absolutely no intention to focus upon working with this part of the population. Asperger’s was just something my daughter had been born with. Nonetheless, people began calling me and kept calling. Several years on and with a good deal of experience on the matter and I’m very glad they did. Click here to listen to me being interviewed by Adam Eason on the subject of my work with Asperger’s Syndrome! Working with Asperger’s / High Functioning Autism may not be as complex as many people fear but it’s certainly not suited to those who underwent poor quality training. UKCP accredited courses run for a total of four years and demand the very highest of professional standards. 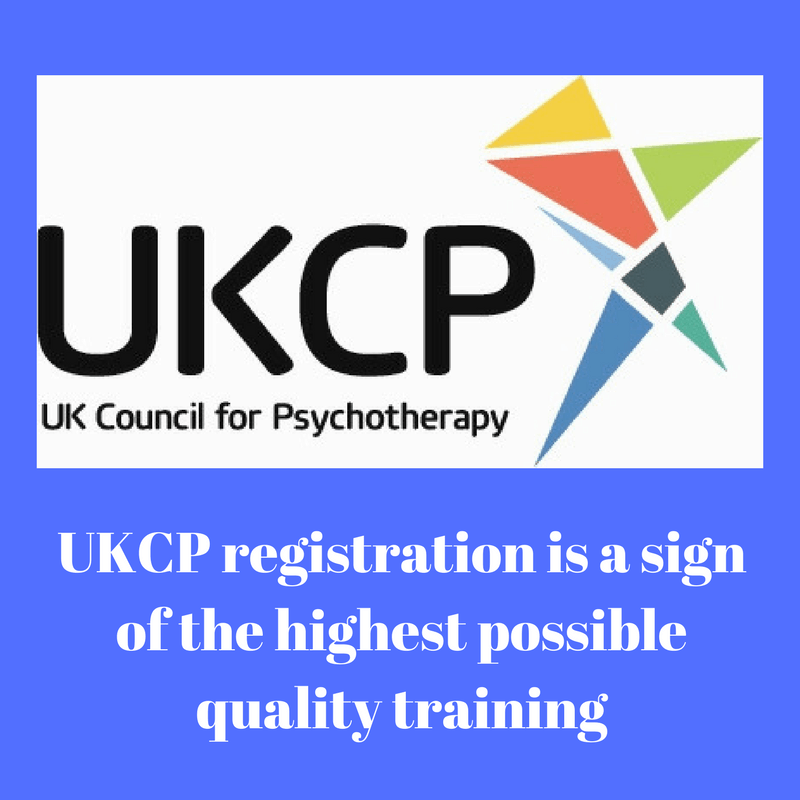 As a UKCP registered hypnotherapist you can be confident that I have been trained to the highest standards currently on offer within counselling, psychotherapy or hypnotherapy. I have, for example, to abide to the strictest ethical codes. I have to regularly supervised by a more experienced psychotherapist and I have to commit to a rigorous programme of CPD. 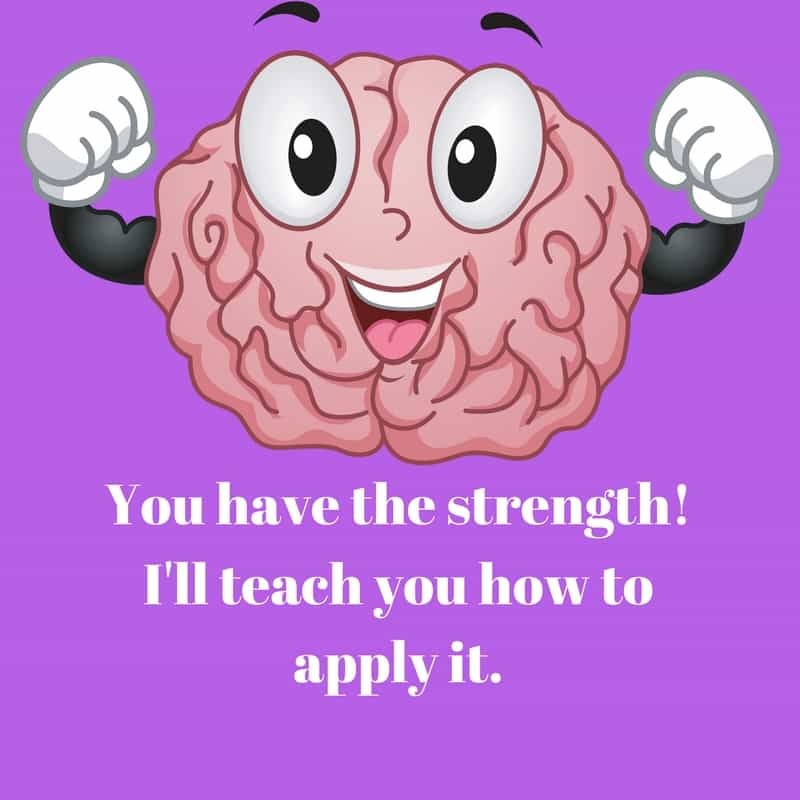 It’s not the cheapest or easiest way of becoming a qualified therapist but it means that I can hold my head up high and tell my prospective clients that they’re unlikely to find a better trained hypnotherapist. This all means that you can trust in my training, my ethics as well as in my experience with asperger’s syndrome / high functioning autism. I wouldn’t trust my emotional well-being to anybody with less than UKCP or BACP registration. Labels, in my experience, are rarely straightforward. Sometimes they’re ill-fitting. People with asperger’s are rarely as the textbooks say they should be. Sometimes a label can be helpful. A diagnosis can enable parents to access extra support at school. It can help employees to secure extra considerations and adjustments from their bosses. Marriages can even be saved when a neurotypical partner comes to realise that the other half of the marriage behaves in a certain way because of a diagnosed condition. Clients who self-identify as being on the spectrum will often ask me if it’s a good idea to have themselves assessed by a psychologist. I guide them in making their own decision. A diagnosis can be a double-edged sword. A diagnosis can certainly, as explained, bring its benefits. Often, however, the label of ‘asperger’s’ or ‘autism’ can seem like a life-sentence and some of my clients feel as if they are forever marked out as ‘different’ – and not in a good way. This is particularly true of some tweens and teenagers. My job is to help my clients to make the most of their strengths. My job is to help them become proud of themselves and to forgive themselves for the difficulties which asperger’s / high functioning autism brings in its wake. My work aims to help people to not give a damn about whether or not they have a label. Hypnotherapy can help and I look forward to seeing how it can help you or your loved one. Parenting a child with asperger’s? Perhaps hypnotherapy could help you too. In consequence, I have worked with adults who were depressed, suffering from OCD and for whom even the simplest social interactions were terrifying. I have worked with anxious children, children with anger issues and adolescents who simply needed help with coming to terms with the fact that they were ‘different’. I could help you too. There is very little literature on the topic of adults with Asperger’s. There is even less written about psychotherapy and Asperger’s. 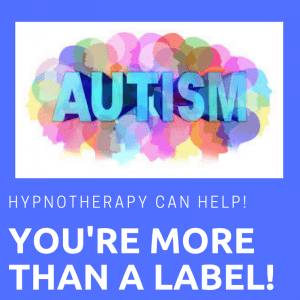 There is next to nothing written on how hypnotherapy can help. Not until I get around to writing it in any case. 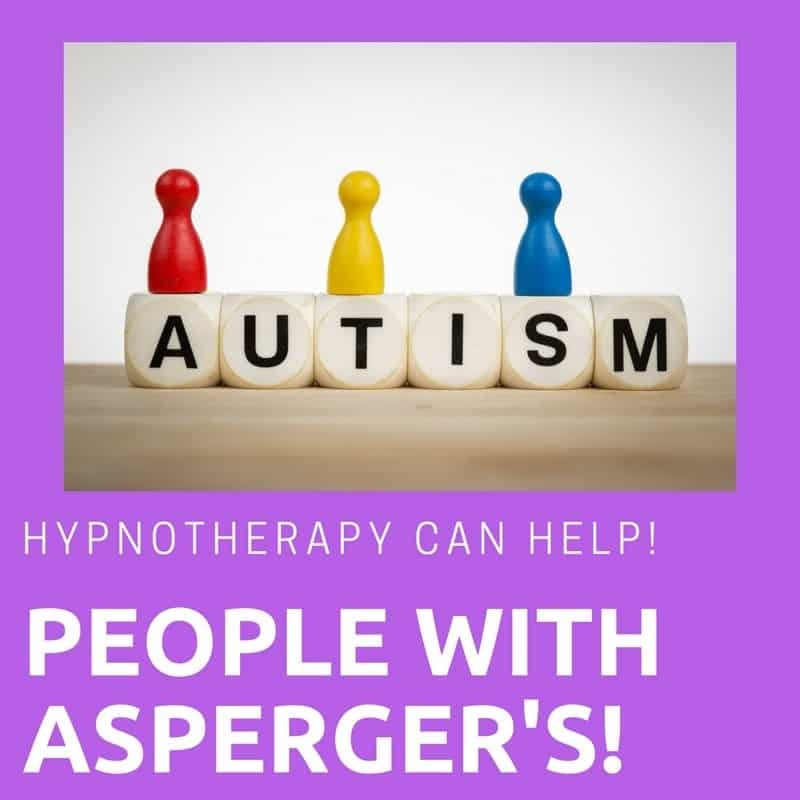 This is a pity because to have Asperger’s is to suffer from anxiety on a regular – if not constant – basis and hypnotherapy is simply great for anxiety. You could learn to defeat anxiety, to work with it and to erode its ability to affect your life. I’ll be more than glad to help you to achieve such goals. You can achieve almost anything if you want it badly enough, take it one step at a time and have a guide to show you how. I’ll show you how. I’ll teach you. All you have to do is pluck up the courage to get in touch. Telephone conversations are preferred but if this causes you anxiety then I’ll be glad to answer any questions via email instead. You already know that carrying on as you are isn’t an option. If you want things to change then you have to make the first changes happen yourself. That means getting in touch, by whatever means. When I was a student and with the literary deficit on the topic of hypnotherapy and asperger’s syndrome in mind, I chose to write my dissertation on how hypnotherapy and psychotherapy could best be used to help people with the condition. I presented this to the NCHP’s annual conference and, as a result, they partially lifted their ban on the use of hypnotherapy with ASD conditions. 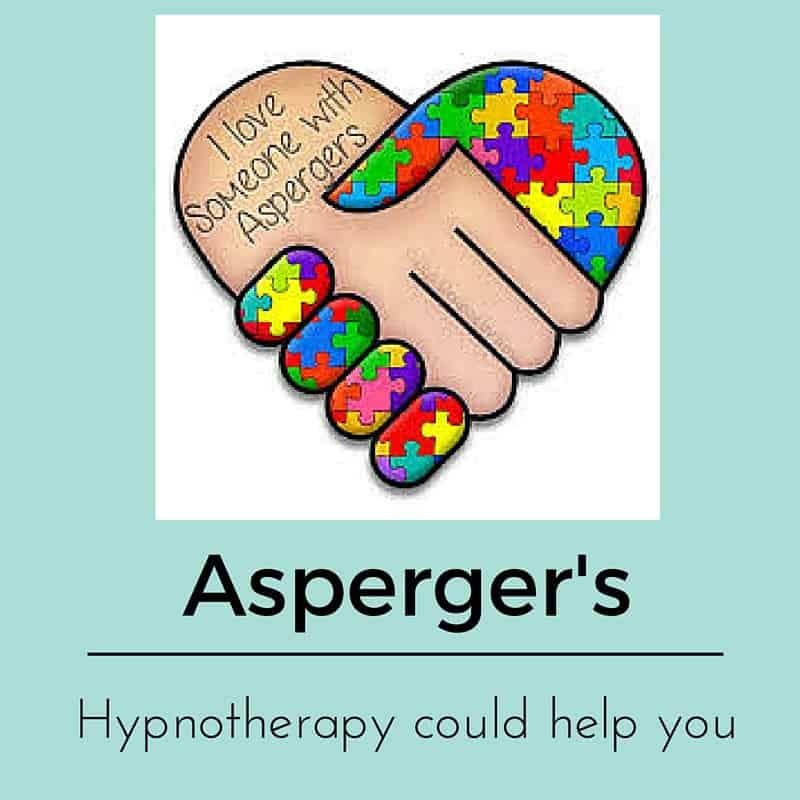 I am now a regular presenter on the topic of asperger’s / HFA and hypnotherapy and have developed a CPD program with which to train other therapists on working with this fascinating part of the population. I have found that very few therapists have any real understanding of what it is to be on the spectrum. Working with ASC clients can be an extremely rewarding thing but it can also be damaging, for the client, if everyday spectrum behaviours and traits are misunderstood. I have met clients who felt completely disrespected, offended and insulted by therapists who alleged that their behaviours were choices and not a consequence of being on the autistic spectrum. I am sometimes amazed that such poor manage to find the courage to submit themselves to another round of therapy. Training courses (outside of those designed to train child and adolescent psychotherapists) very rarely even mention the condition. So, please do ensure that your therapist does understand it, before you book in. I do understand how difficult it is to either be on the spectrum or to care for someone who is. I hope that this page is starting to give you some reassurance, however. Asperger’s or High Functioning Autism needn’t condemn you to a life full of anxiety or depression. I have met people on the spectrum who are full of despair because life is so difficult. I have seen parents of people on the spectrum who are full of despair because they see how difficult life has become for their AS / HFA children. You or your children can learn to be more self-confident. Anxiety can be mastered, beaten and left behind. Depression, OCD, phobias, social anxiety, conversion disorders and many more conditions besides can be resolved if the client wants to change badly enough. Hypnotherapy helps people to harness and muster their own strength in order to make these things happen. All you have to do is to resolve to get in touch and we’ll work to see your problems fade into history. Hypnotherapy can help you and I’ll be there with you, every step of the way. I look forward to hearing from you in order that we can arrange a time to begin. It really doesn’t have to be like that, however. Learning to fit in can be difficult but it’s not impossible. Learning to thrive within a sometimes uncaring neurotypical world can be tough but it can be done. My clients do tend to find a way. I’m proud to have helped them. You, your child or partner can do it too. One of my first aspie clients was so scared of people that he’d run from public situations in a near panic. When we finished working together he was able to go out and do whatever he wanted, wherever he wanted. His life was nearly crippled by agoraphobia , a host of anxieties, depression and fear when we first met. When we stopped working together his life was a million miles from where we’d begun. You could do this too. Your child could do this. I can’t offer guarantees but it can be done. I enjoy working with AS clients. I enjoy helping them to see how strengths in one area of their lives can be used in others. They can learn to see things, and themselves, from a different angle. I enjoy helping people to take control of those situations which once caused them anxiety. If you have AS and are looking for a therapist to help you, I hope you will choose to call me. I look forward to working with you. I expect you’ve tried everything else already. What is there to lose? How do I work with clients on the ASD spectrum? A few years ago I attended a conference on “Asperger’s and Mental Health,” hosted by Autism Oxford. The conference featured several brave ‘aspies’ who discussed their difficulties and how they had worked to improve their ability to function within the NT world. There was also a presentation by Dr Sally Powis, a clinical psychologist. Dr Powis and one of the ASD presenters praised the way in which mindfulness both could and had been of great use in helping aspies to relax. Dr Michael Yapko has written an excellent book (“Mindfulness and Hypnosis”) on the subject of how the effects of mindfulness and the hypnotic state (when seen through a brain scanner) are precisely the same. I often use mindfulness with my clients and hypnotherapy goes further than mindfulness can, alone, because it establishes that same state of mind and then uses it to cause change to happen. 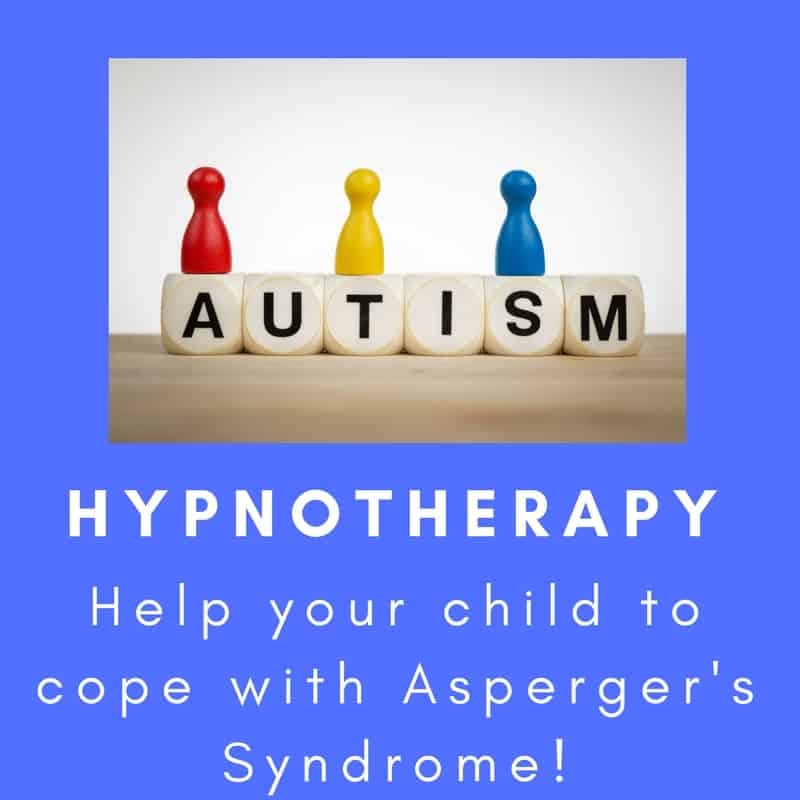 If you combine these approaches with solution focused therapy and an awareness of ASD issues then you have a powerful therapeutic approach which can help people with asperger’s to succeed in their goals. Step by step, day by day you could learn to progress towards your goals, building confidence as you go. With increased confidence comes increased motivation. Self-esteem builds and things begin to gather pace. Hypnotherapy helps to consolidate gains and trains the brain to see following steps as being natural, easy and inevitable. I use hypnotherapy, mindfulness and solution focused counselling techniques to help my clients with asperger’s achieve their goals – whatever these may be. I help my clients to control their anxiety, to focus on progress on an incremental basis and to persevere when things are tough. As progress occurs confidence grows and the old anxieties fade. I have helped people to become so comfortable in their own skin that – where they once refused to leave home – they could perform in front of a large crowd. 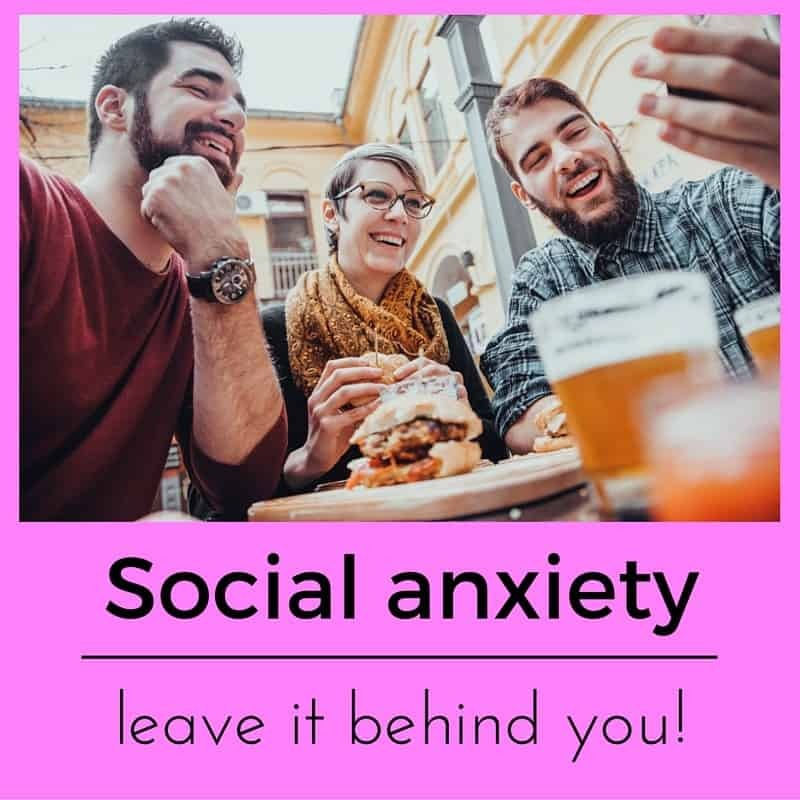 I have helped people to feel more comfortable in social situations, to learn new ways of socialising, to understand basic social cues. 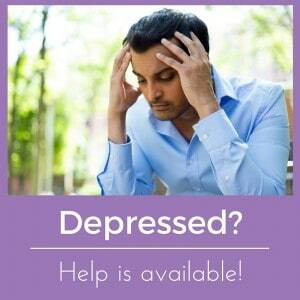 I have helped clients with ASD to overcome depression, anxiety disorders, OCD and more. I have helped clients to overcome a crippling lack of self-esteem and confidence. I helped them to be comfortable and happy in themselves. I could help you too. 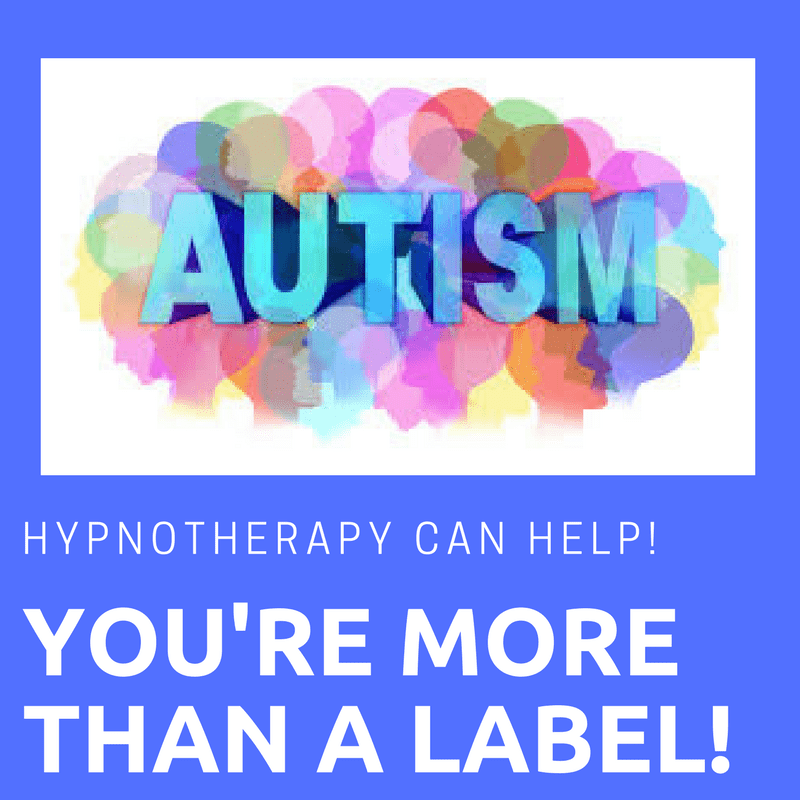 If you’re looking for hypnotherapy for asperger’s related problems in Reading, London, Wallingford, Thame or Oxford then please give me a call or click here for other ways of contacting me. Please feel free to get in touch if you’d like more information or to discuss things in more detail. Resolved! Hypnotherapy Reading offers hypnotherapy and hypno-psychotherapy in Reading, London, Oxford, Didcot, Wallingford, Pangbourne, Henley, Thame, Long Crendon, Haddenham, Chinnor, Wheatley, Wokingham and in all surrounding areas of Berkshire and Oxfordshire. Hypnotherapy, in the hands of a skilled and ethical hypnotherapist, can help you to make those changes to your life which you’d like to see. Home visits are available on request.